We have another vaporizer on our plate and this time around it built for flowers rather than concentrates. 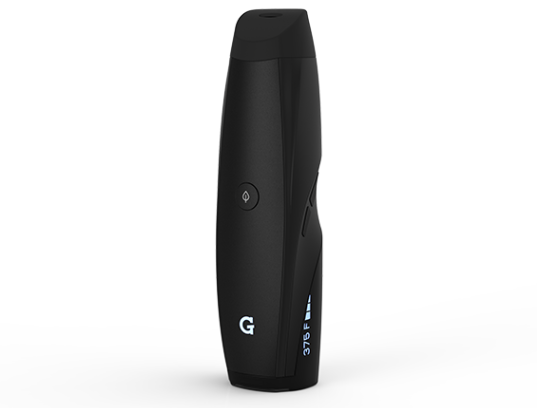 Grenco Science, the folks behind the G Pen, have provided me with the G Pen Elite, a discrete and portable convection vaporizer with an ergonomic design and some great new features. To start, the Elite offers and LED display, temperature control, largest ceramic chamber on the market, and a lithium ion battery to take on the go. It is time to open the cylinder package and put this palm-sized vaporizer on the go. 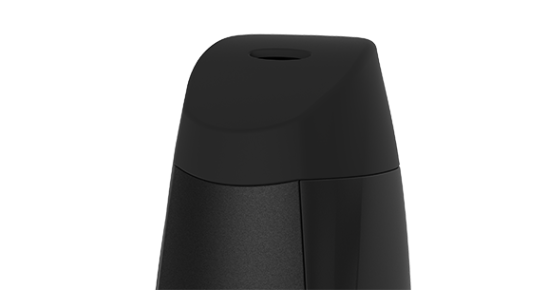 I will begin with the design; it fits in the palm of my hand and is very discreet, while The casing is made up of a soft coated plastic that manages to keep the unit from getting too hot during longer use. The Elite heats to the desired temperature quickly and the shape of the porcelain chamber makes for even heating and full flavor. The device requires the button to be pressed five times quickly to turn on to prevent accidentally turning on say in a pocket, unfortunately it is easy to forget to turn off. While this compact device is near perfect, there were a couple things I noticed during use that took away from the experience and the first has to do with cleaning. The large chamber is very easy to clean, the mouthpiece on the other hand is a little more difficult as the screen gets gummed up quickly and does not clean as fast and easy as the chamber. The battery also does not last as long as I would prefer, about every two days between charges; this is a great opportunity for a charging dock. 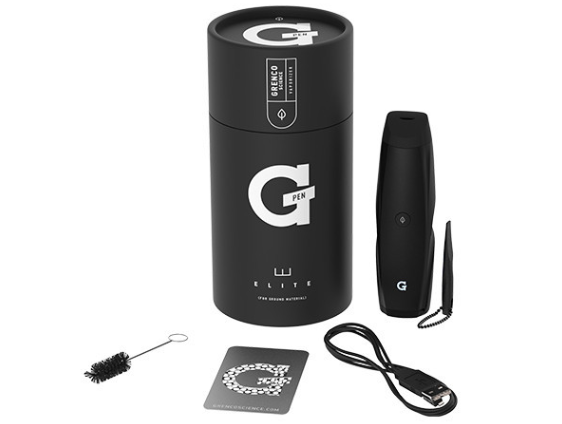 After a bad experience with the Puffit, I was turned off to the method of vaporizing flowers, but G Pen has surpassed my high expectations and provides a great experience anywhere, not just on the go. While I did have a couple complaints, they were vastly outweighed by the positives and can prevent disappointment as long as you clean and charge between fills which happens less than I would have expected with a chamber size of .75 grams. Grenco Science's G Pen Elite is available now for $169.95.